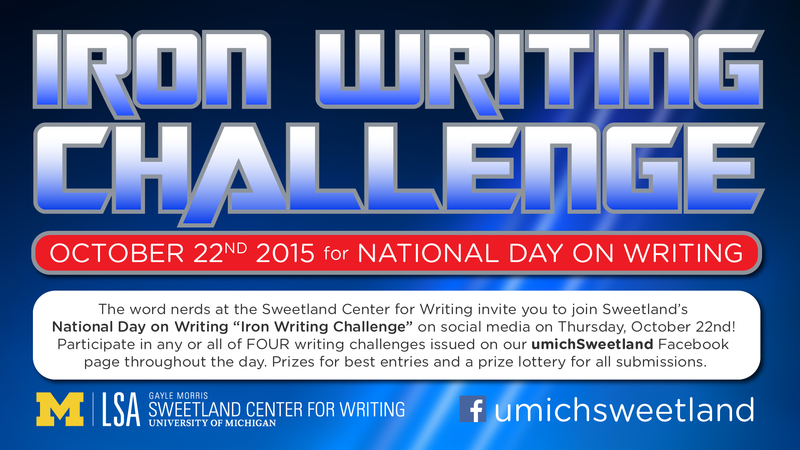 In celebration of the National Day on Writing, on October 22nd Sweetland issued its 2nd annual “Iron Writing Challenge” to the U-M community, inviting students to compete for prizes in four writing challenges issued on Facebook throughout the day. 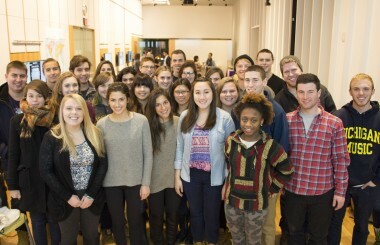 One challenge, “You Be the Professor,” asked students to craft their ideal essay prompts. Entries ranged from creative (“Pick an item or a person inside a prison, and write a fictional story about how it/they got to the prison”) to kooky (“Which came first, the chicken or the egg? Support your argument, but refrain from scientific reasoning”). 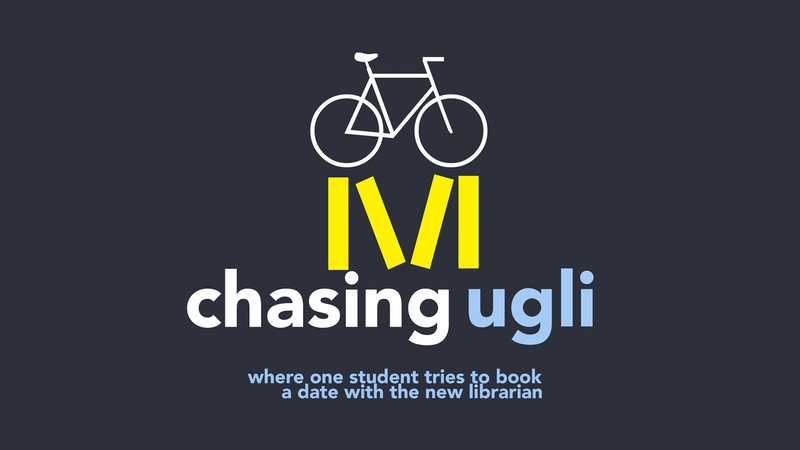 Every contributing student was entered into a lottery to win a $20 Literati gift card; challenge winners, determined by number of “likes,” received a $45 Literati gift card. 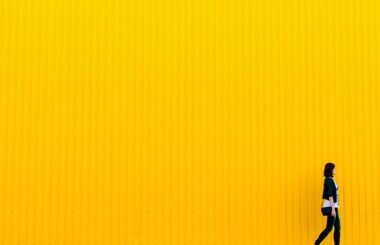 Congratulations to Caroline Petersen, McKenzie Campbell, Brie Winnega, Tiffany Huynh, and Shannon Vail, and all the clever, kooky, creative and punny writers who participated in NDOW!